EDUCATION IS NOT ABOUT THELEARNING OF FACTS BUT IT IS THE DISCOVERY OF RYTHM AROUND YOU. 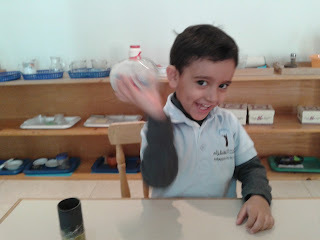 For the last three weeks we all were busy in our Science Experiment Project. 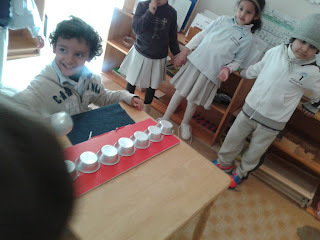 There were lots of experiments to do, dealing with Physics, chemistry and biology ,and the one which amazed almost everyone throughout the three weeks was our SPECIAL MUSICAL INSTRUMENTS created by my children under my guidance. 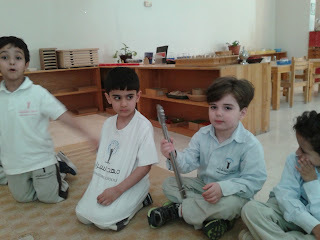 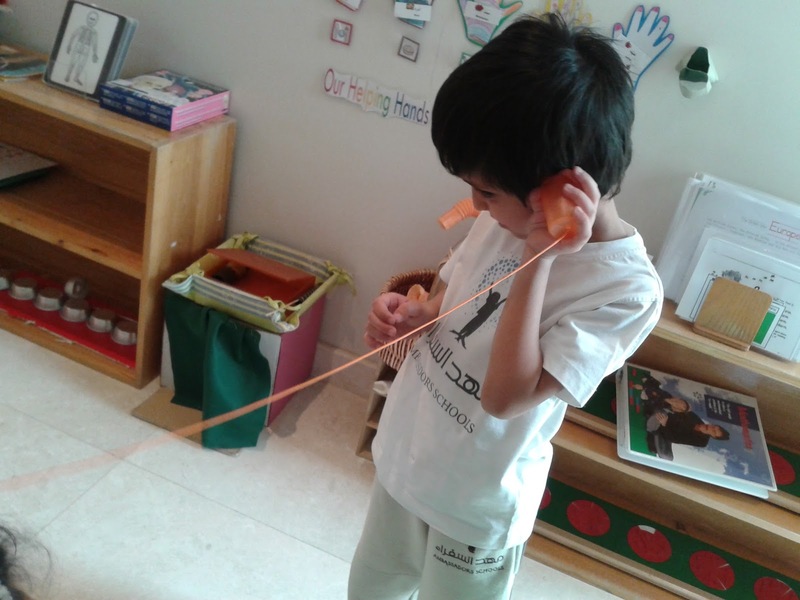 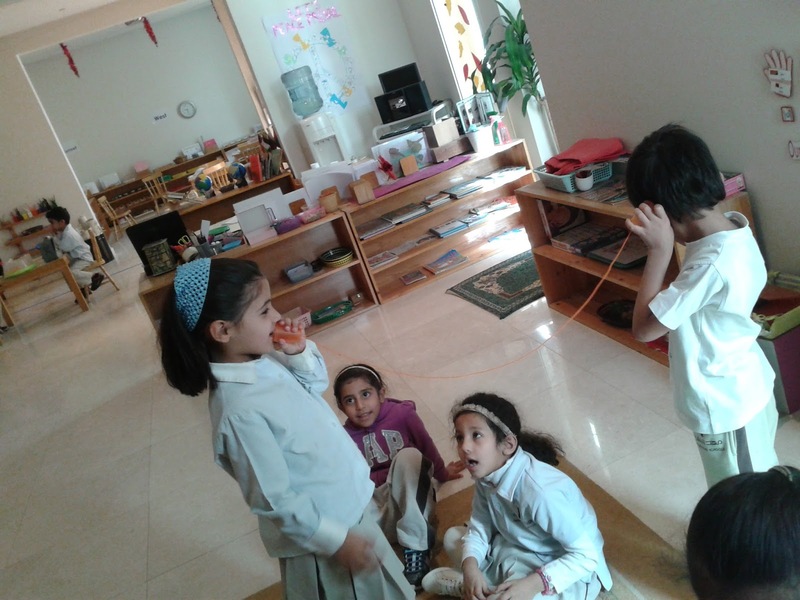 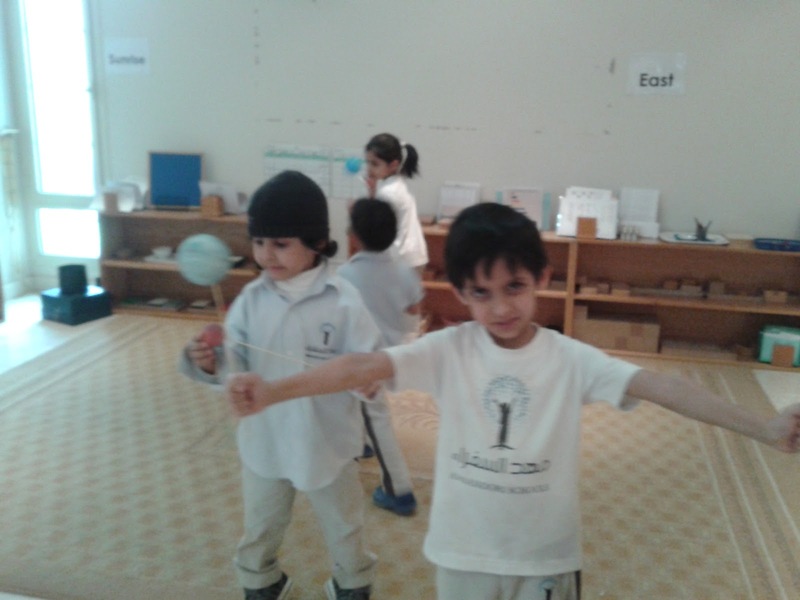 A STRING TELEPHONE which was made by plastic cups and a string was an awesome addition to our Sound Box, everyone just loved to speak on it and hear the sounds...simple science cannot be taught to children, they already know it ,it is a matter of discovery provided with the right kind of environment. see the excitement of a child with this FRICTIONAL KITCHEN STUFF. 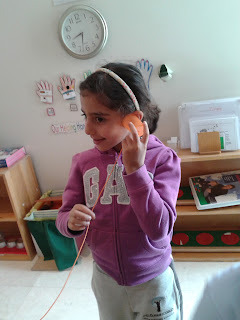 And then an item from my kitchen proved to be a wonderful Frictional Sound Instrument. 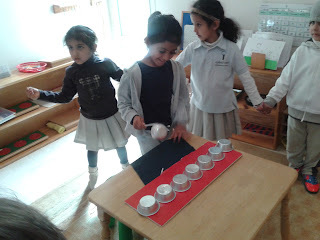 My kids were delighted to discover the sounds which was actually a Friction ,they produced many RYTHMIC MUSIC from that . 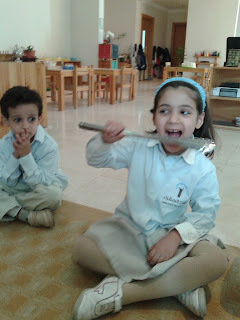 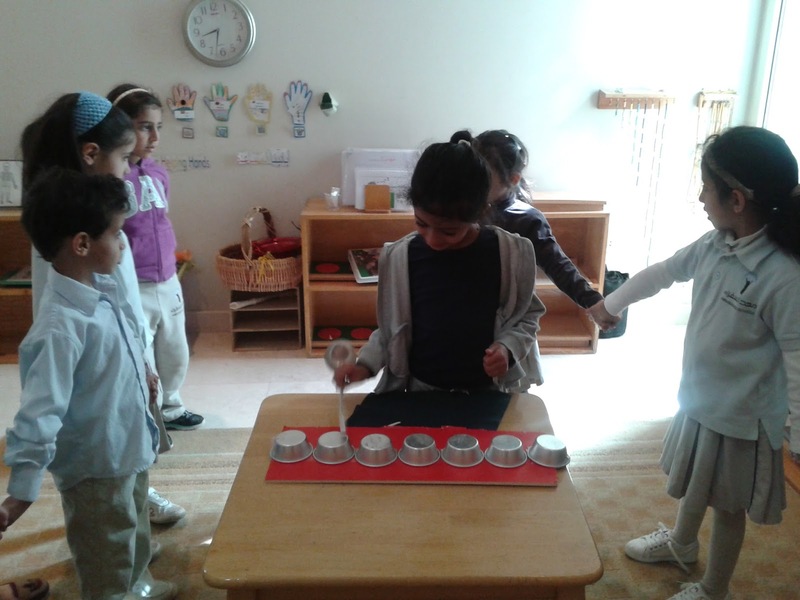 And then we created a Xylophone using small steel cups which I found in my kitchen and a steel Spatula ..it creates an amazing Sound and music . 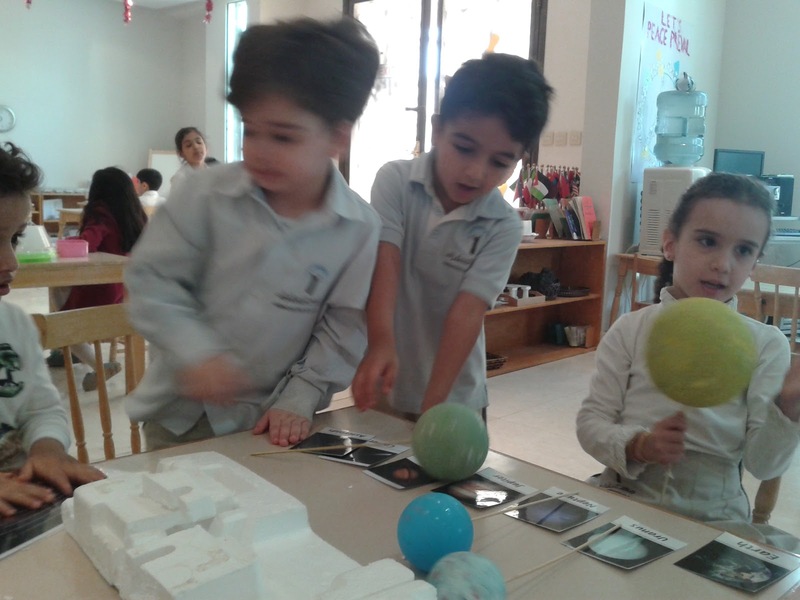 We were learning many things in our SCIENCE PROJECT, one of them is THE SOLAR SYSTEM, so we started painting the balls to represent all the planets of the Solar system. 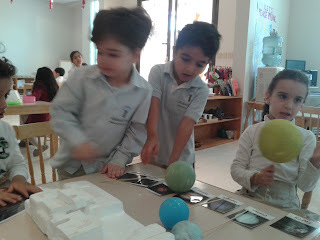 .Once we were done , children kept on matching those planets with their respective cards . 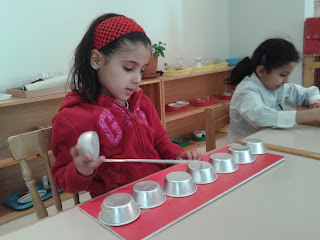 To my surprise , one day I played one of our most favourite beat. 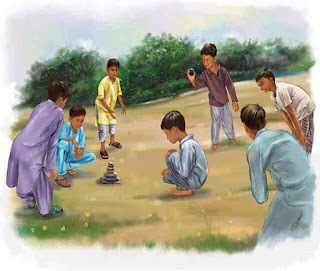 Few of the children were actually singing the newly learned 'Solar system song', suddenly they all started beating their 'Planet balls' with each other, against the floor,on the table, and with any thing they thought would produce a sound. I was speechless at all these discoveries by my little scientists. Steel cups Xylophone was one of the hit in our Science fair. Last month a child was playing curiously with some plastic balls , one of the other child just shouted ,"Miss Erum, can we put these balls in a glass with a lid, I'm sure ,it will create some nice music, and we can add that to our SOUND BOX ". 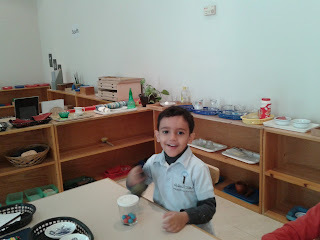 As amazed as I always be with my kid's ideas , I brought a jar with a lid and we did it. Soon all my children started making different rythms depending on their moods . 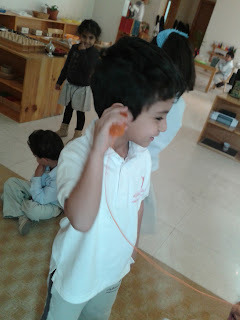 Look at this Three year old, enjoying the music of his own beats. 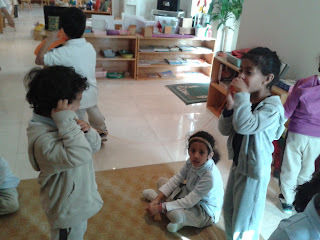 still inside the heart there will be hidden music playing.